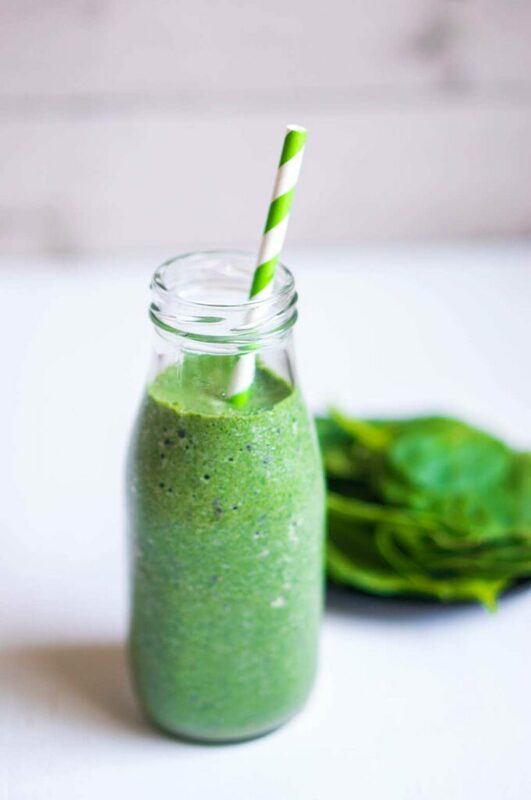 A Green Goddess Smoothie makes you feel like just that, a goddess! 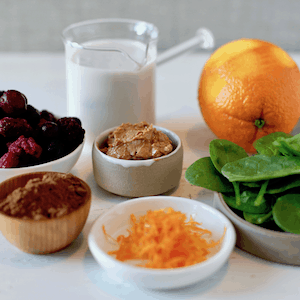 Packed with spinach and vitamin-rich fruit, it’s a fresh way to start your day, or finish a workout. Green smoothies don’t float everyone’s boat. I’ll be honest, too much raw kale in my drinks and I can’t quite get it down! But this gorgeous and bright, juicy and healthy version is my hands-down favorite. Instead of kale it’s packed with mild spinach. And too keep my sweet tooth happy, pineapple, mango and grapes add delicious juiciness. I opt for spinach when I can in smoothies. 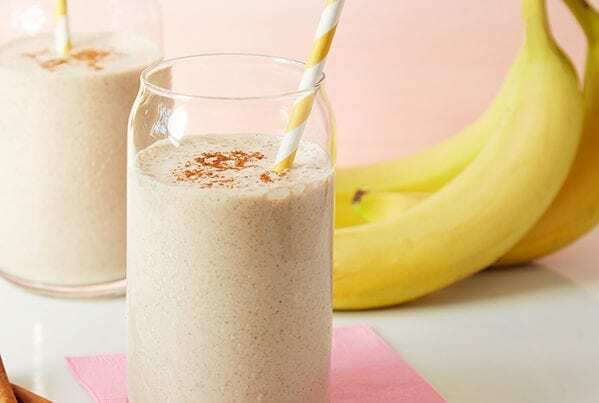 It has a mild green taste and mixes well with fruit, yogurt or coconut milks and protein powders. I also love my Vitamix for blending green drinks super smooth. I know spinach is not as completely health-dense as kale, but it’s still packed with nutrients. (Plus I’ll opt for my kale at dinner, roasted or wilted with some garlic). But by comparison spinach is a powerhouse. In one serving it almost has 1000% of our daily Vit K needs. And this smoothie has two servings of spinach! Vitamin K is beneficial for our bone health. So this is great to drink pre or post workout! It is also concentrated in health-promoting phytonutrients such as carotenoids (beta-carotene, lutein, and zeaxanthin) and flavonoids to provide you with powerful antioxidant protection. I love new studies, de-bunked food myths and health-science. A quick browse of whfoods.com and I found that a new category of nutrients found in spinach is called “glycoglycerolipids.” Glycoclycerolipids are the main fat-related molecules in the membranes of light-sensitive organs in most plants, indispensable for photosynthesis. That’s too sciencey for me. 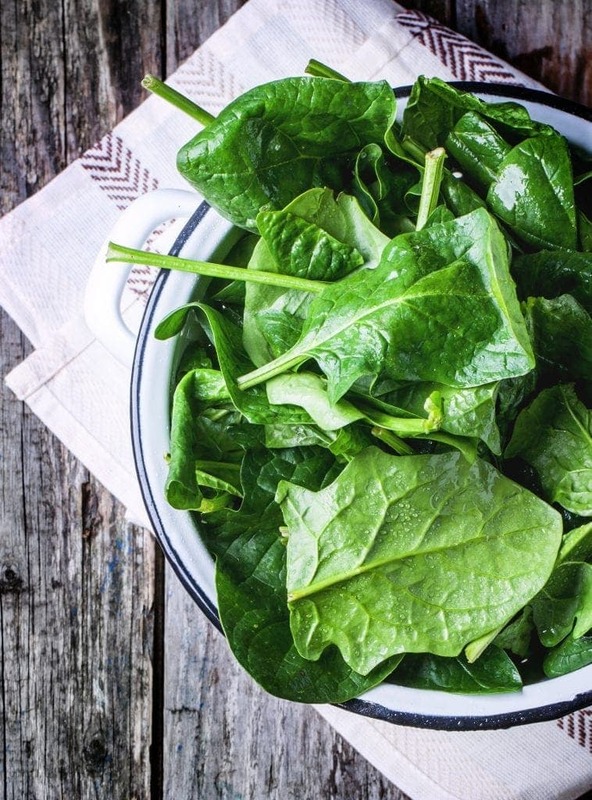 Basically studies have found that glycoglycerolipids from spinach can help protect the lining of the digestive tract from damage — especially damage related to unwanted inflammation. I’ll drink to that! The Green Goddess Smoothie is by far my favorite. It’s packed with healthy greens, but sweet and juicy! 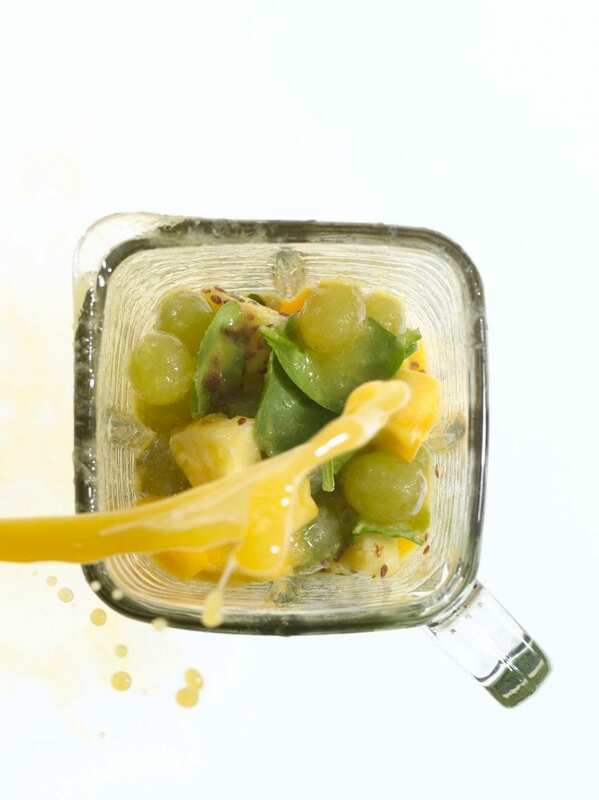 Sweet mango, juicy pineapple and grapes, plus orange juice balance out the sweet and add loads of vitamin C to this refreshing green goddess smoothie. I added flax seed for it’s health benefits and richness. Play around with fresh or frozen fruit, depending on how thick you like your smoothies. 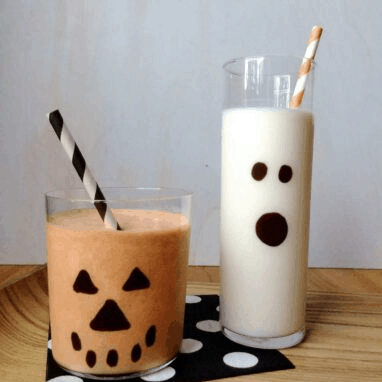 And click over to my Hide Your Veggies Healthy Smoothie for great way to get vitamins into healthy drinks for kids or picky drinkers! 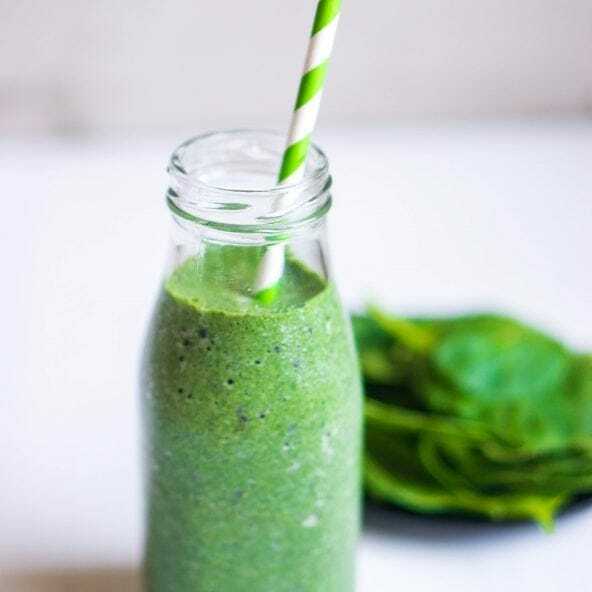 Spinach plus sweet mango, juicy pineapple and grapes, with orange juice balance out the sweet and add loads of vitamin C to this refreshing green goddess smoothie. Beginning with the orange juice and water, put all ingredients in a blender and process until smooth. Use frozen fruit for a thick, icy texture or add water if you like your smoothies thinner. 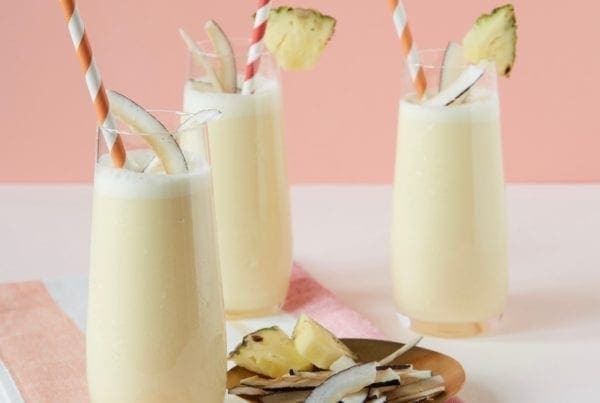 A refreshing and healthful beverage that is fast and easy. If you like this healthy drink, you’ll love my other great options for staying lean and clean! 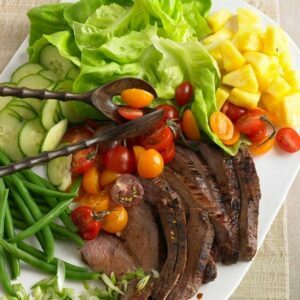 Thai Beef Salad is packed with fresh lettuce, cucumbers and green beans, plus lean beef for great flavor and a filling meal. 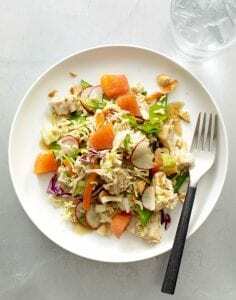 Crunchy Chicken Noodle Salad gets a crunch from ramen and loads of veggies. Fresh citrus and peanuts make it a filling meal. Recipe by Tara Bench and Hilary Merzbacher. Photographs by Romulo Yanes. Food Styling by Christine Albano. Prop styling by Megan Hedgpeth. Originally published 05/2012 in Ladies’ Home Journal. Check Out More Of My Smoothie & Drink Recipes!